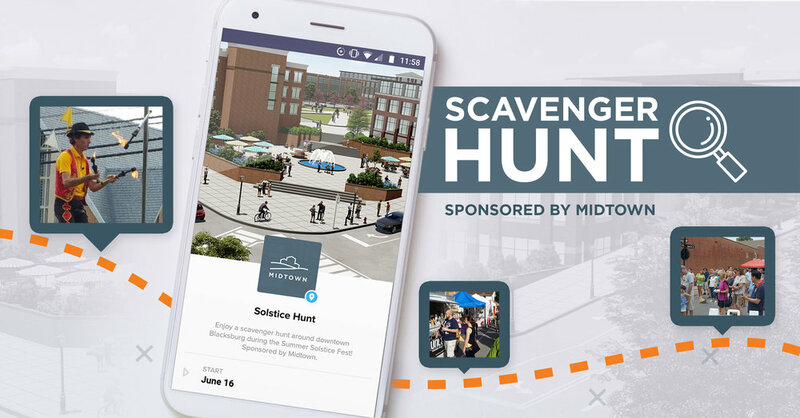 March 13, 2019 - MIDTOWN: WHAT’S CHANGED SINCE FALL 2018? FEBRUARY 17, 2019 - Midtown: Yes or No? 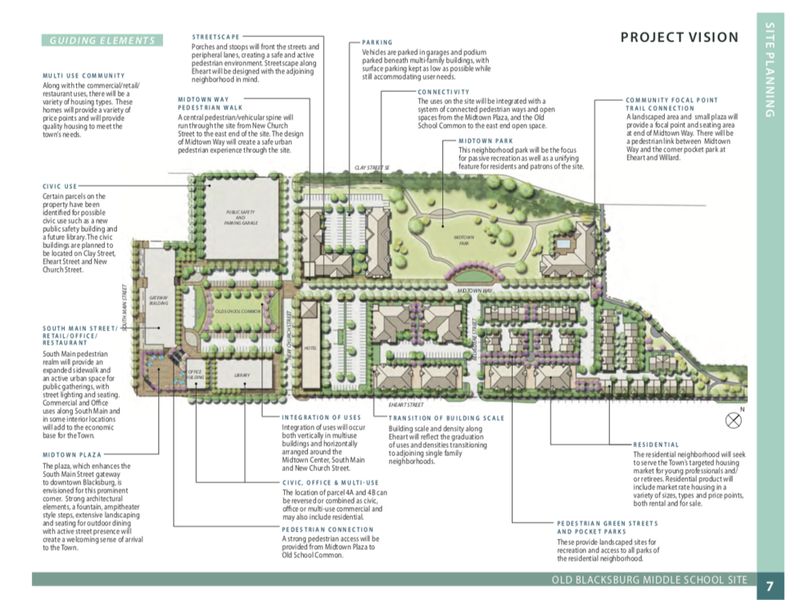 BLACKSBURG, Va. — We’d like to share our perspective on why the Town of Blacksburg plans to send the Midtown project back to the rezoning commission. 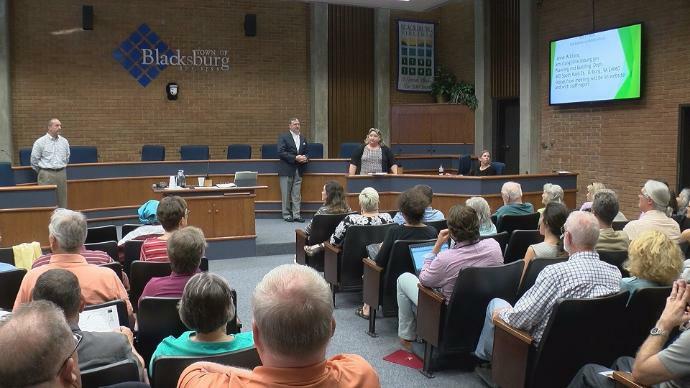 BLACKSBURG, Va. (WDBJ) — When the Blacksburg Planning Commission voted to approve development on the old middle school grounds back in September, it seemed like the long-awaited project was becoming a reality. “We’re not quite there but we feel confident and continue to be excited that both sides want to make it work,” Cowan added. BLACKSBURG, Va. (Roanoke Times) — The plan for old Blacksburg Middle School site is changing again, after an employer set to anchor a portion of the property decided to go elsewhere as the project meanders through the municipal maze. 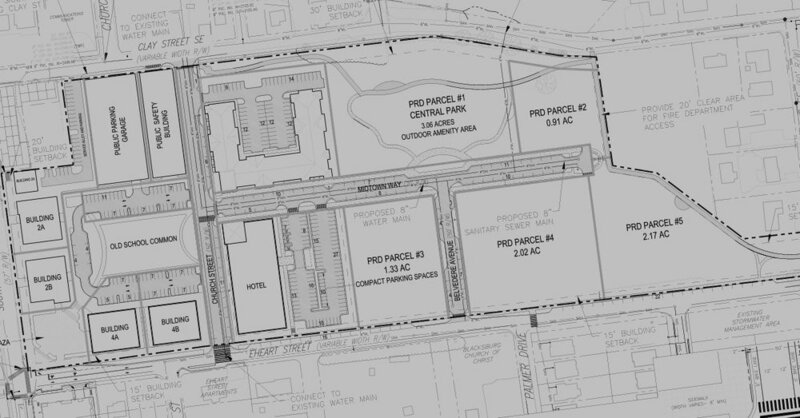 BLACKSBURG, Va. — When the Blacksburg Town Council deliberates on rezoning the old Blacksburg Middle School site, the proposed mixed-use construction along Main Street will be slightly different from the plan approved by the Blacksburg Planning Commission in September. BLACKSBURG, Va. (Roanoke Times) — The rezoning of the old middle school site is unlikely to be decided this year due to the town and the landowner still hashing out an agreement that will determine how much the locality will invest in the proposed redevelopment. 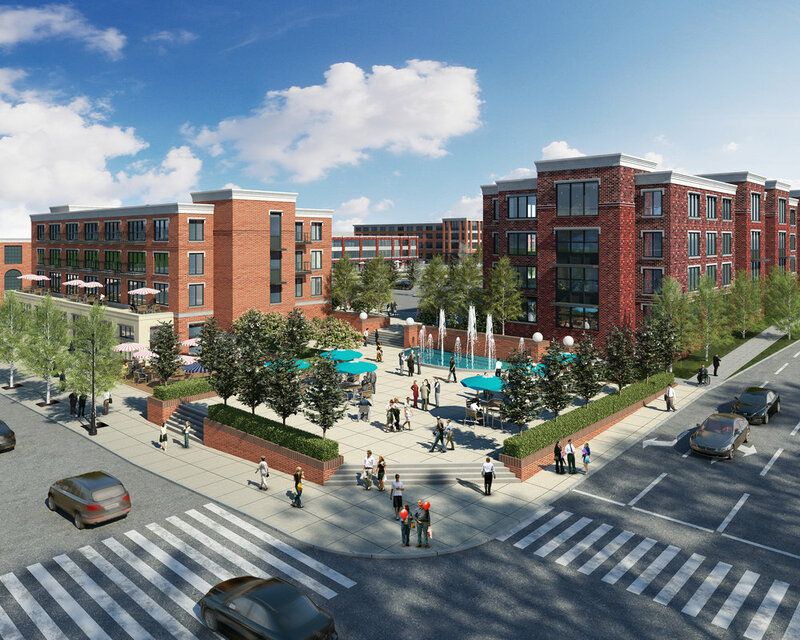 BLACKSBURG, Va. (Roanoke Times) — The town’s planning commission voted 7-1 Tuesday night in favor of a rezoning that will be needed to clear the way for a more than $100 million redevelopment of the old Blacksburg Middle School site on the corner of South Main and Eheart streets. BLACKSBURG, Va. (WDBJ) — The Blacksburg Planning Commission voted 7 to 1 in favor of a rezoning application for development on the Old Blacksburg Middle School site. BLACKSBURG, Va. (WSLS) — The rezoning of the old Blacksburg Middle School site for new homes and offices received initial approval. BLACKSBURG, Va. (News Messenger) — Following a three-hour public hearing during which scores of Blacksburg citizens stood to voice support, worry and dismay, the Blacksburg Planning Commission voted 7 to 1 to approve the re-zoning of the flagship 22-acre Main Street property. BLACKSBURG, Va. (Roanoke Times) — As with lending decisions in banking, there’s information that we need to know, and there’s information that’s nice to know. In banking, we often need to be reminded of that, and it’s a good reminder for the Planning Commission, too. The most important question to ask is whether or not the project as proposed is good for the town. It’s time to take that leap. BLACKSBURG, Va. (Roanoke Times) — For more than a decade, Blacksburg and Montgomery County have engaged in every possible effort to create a workable vision for this site. The developer has provided a plan that meets those requirements. NOTE: The Midtown developers are working with a Virginia Tech forestry professor to grow new trees from acorns collected from the Pin Oak that was planted on the Old Blacksburg Middle School site in 1976. BLACKSBURG, Va. (Roanoke Times) — More than a tree. It is over 12 years since many of our children (now in college or beyond ) played on the beautiful hillside fronting South Main or saw it from their classroom windows. Their parents, faculty knew those trees and the grassy knoll that remains at present. This is a special place of memories and history where major changes are going to occur. NOTE: The Midtown plan meets Blacksburg's previous request for T-intersections with the original 16 squares. BLACKSBURG, Va. (Roanoke Times) — Torabinejad: Blacksburg needs our help more than ever. Soon, the fate of the Old Blacksburg Middle School site will be known. The location of this property should differentiate its rezoning from those of other properties in town. 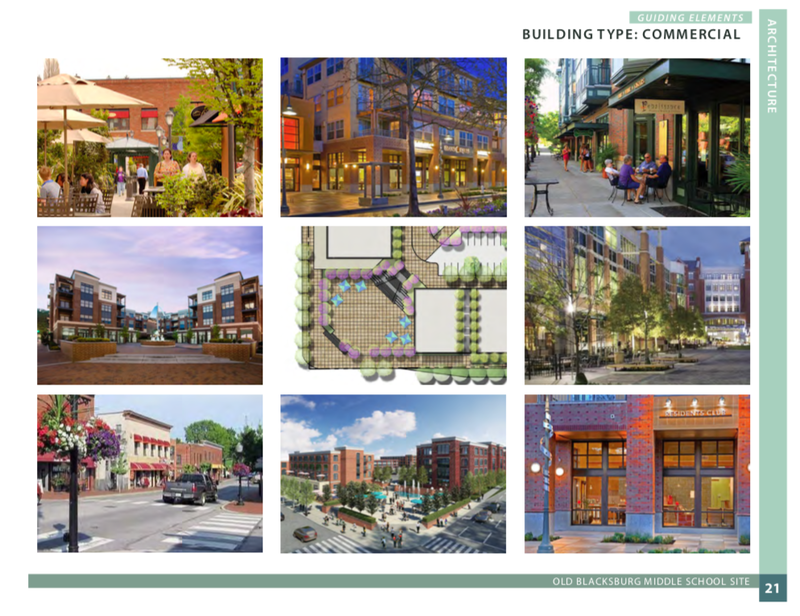 Careful assessment and planning are essential to create a place not only to provide downtown vitality by integrating it into the surrounding areas but also to help ease the current and especially the future traffic of Blacksburg. BLACKSBURG, Va. (Roanoke Times) — Planning officials are still seeking a few key details on an ambitious redevelopment of the old Blacksburg Middle School site, but some of them on Tuesday night said that they’ll likely be prepared to vote on the project in two weeks. 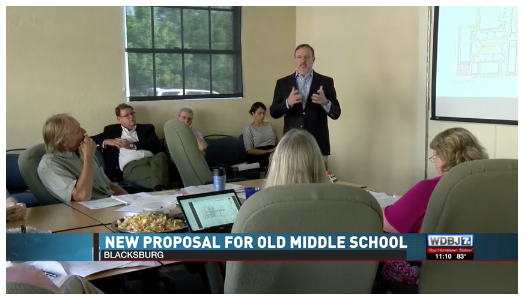 BLACKSBURG, Va. (WDBJ) — For the third time since early July, the Blacksburg Planning Commission held a work session to discuss the rezoning application for development on the Old Blacksburg Middle School land. BLACKSBURG, Va. (Roanoke Times) — The head of the town Planning Commission says that an upcoming Aug. 21 meeting will play a key role in the redevelopment schedule of the old Blacksburg Middle School site. Midtown Redevelopment Partners today submitted a revised application for rezoning the old Blacksburg Middle School Property. This rezoning application includes a revised 36-page OBMS Pattern Book (PDF) — following a nontraditional zoning process (form-based-code) that’s designed to give communities more control over long-term development projects. BLACKSBURG, Va. (Roanoke Times) — An opinion piece about the site from Blacksburg mayor Leslie Hager-Smith. Developer submits rezoning request for old Blacksburg Middle School site.